When being interviewed by a print journalist—in which the final article is words printed on paper or words printed on a screen—spokespeople should remember that they're not there to engage in a conversation. In my experience, if they do, they should be prepared to accept greater risk. 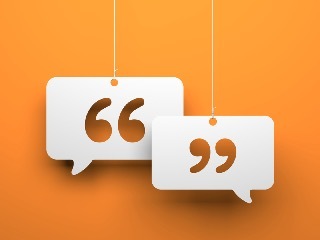 By trying to be conversational with print journalists, rather than focusing on answering questions clearly and concisely, spokespeople dramatically increase the odds of being misquoted or quoted out of context. With print interviews, more context (i.e. longer answers) equals more risk. Period. With interviews by print journalists, the route to the end audience is always indirect. Even if it’s a solitary blogger writing the story, he or she takes the information gained during the interview and reshapes it to a finished product hours or days after the interview has ended. Conversational spokespeople read the finished articles and often think to themselves: “That’s not quite what I had in mind” or "that's not quite accurate”—even as a result of positive interviews or those for which there is minimal risk. If it’s a potentially negative story, the impact is magnified. I’ve seen conversations with print journalists lead to weeks of damage control. I once had someone in a media training session tell me about a two-part less-than-complimentary quote in a finished print article. This spokesperson recalls the two parts of the quote being separated by about 15 minutes of "conversation." The fundamental skill of pausing, answering and stopping is the best skill to apply during print interviews. Messages should be woven in strategically, which generally means sparingly. Print journalists have to teach themselves about a topic before they can turn around and teach others with an article that, we hope at least, is factually correct. Journalists can improve their accuracy by asking more questions per minute during interviews, which brings us right back to the critical skill of stopping once spokespeople have clearly and concisely answered the question. Pause-answer-stop provides protection. It facilitates greater accuracy in the finished story. And it is more strategic, because the journalist simply has fewer long answers from which to draw quotes.